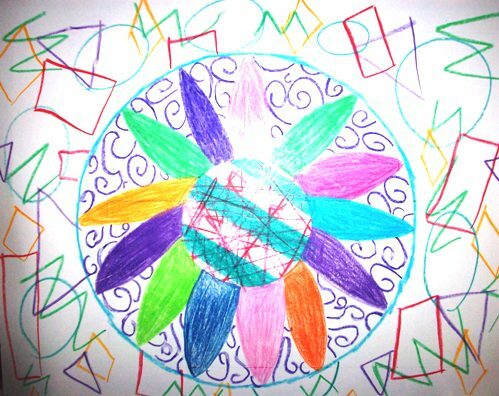 Drawing a mandala with color is an excellent way to connect to the inner mind, because the subconscious will understand the symbols and meaning that the inner mind creates and show it in the form of a mandala. This technique will help linking to the subconscious by using the language and communication with that part of the mind that it uses. I became fascinated by Mandala Drawing and Interpretation in graduate school and, early on saw the positive implications. Later, when I was lead therapist for six psychiatrists at an in-patient treatment center, I was allowed by my Clinical Director, Dr. Stuart Phelps, to work with the Art Therapist one morning per week. During that time, I perfected mandala and tree drawing interpretation. I spent two years writing an instructional book on tree drawing interpretation and my husband spent another year with graphics, formatting, and putting it all together. The book has true stories and is about people’s lives. The tree drawing is a blueprint to their subconscious and cuts through many interview sessions to glean the truth from the subconscious. The mandala drawings provide a way to view both the past present and future life experiences that open through the subconscious levels of the artist. So, on this site I will share people’s actual mandala drawings, their stories, and the interpretations. I will also share people’s tree drawings, their stories, and the interpretations. I will do this in a manner that is verifiable, authentic and reliable. It will show the validity and therapeutic benefits of this technique. You will also have the opportunity to have your own mandala drawing interpreted along with the tree drawing interpretation and forensic graphology interpretation of your own handwriting analysis. All of these analyses coupled together will give you powerful information about yourself, your life, your goals and your personality. Remember, the interpretation needs to be done in the correct form, using these valid techniques in order to be truthful information. View the most current mandala drawings and their interpretations. Mandala Drawing Interpretation # 1. for C.M. Mandala Drawing Interpretation # 2. for W.C.
Mandala Drawing Interpretation # 3. for B.J. Mandala Drawing Interpretation for A.E. Mandala Drawing Interpretation for E.M.
Mandala Drawing Interpretation for I.G. Mandala Drawing Interpretation for K.J.